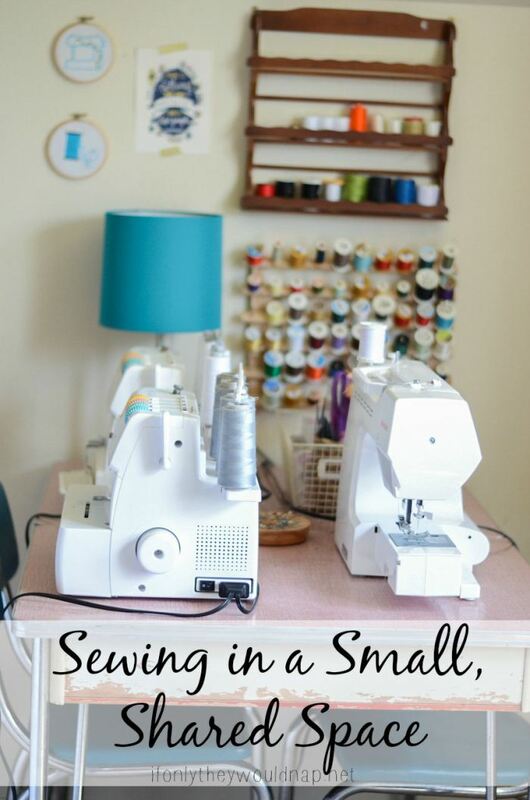 Whether you have a spacious or small sewing space, or dream of having one some day, there’s nothing more exciting than making that space your own. Even a shared sewing space can be filled with DIY items that will provide an invitation to creativity. And it doesn’t take a huge budget to create a space that call to you and makes you want to spend all of your extra time in that space. These 10+ DIY Sewing Room Decorations will have you planning our a sewing room that’s stylish, colorful, and a join to work in. Even if you aren’t able to dedicate an entire room to your craft, you can still create a beautiful, organized sewing space. Head over to If Only They Would Nap to check out her small, shared space inspiration.